The Department of Foreign Affairs (DFA) has implemented a new passport appointment system that will allow passport applicant to immediately know the mistakes or discrepancies in their application process. 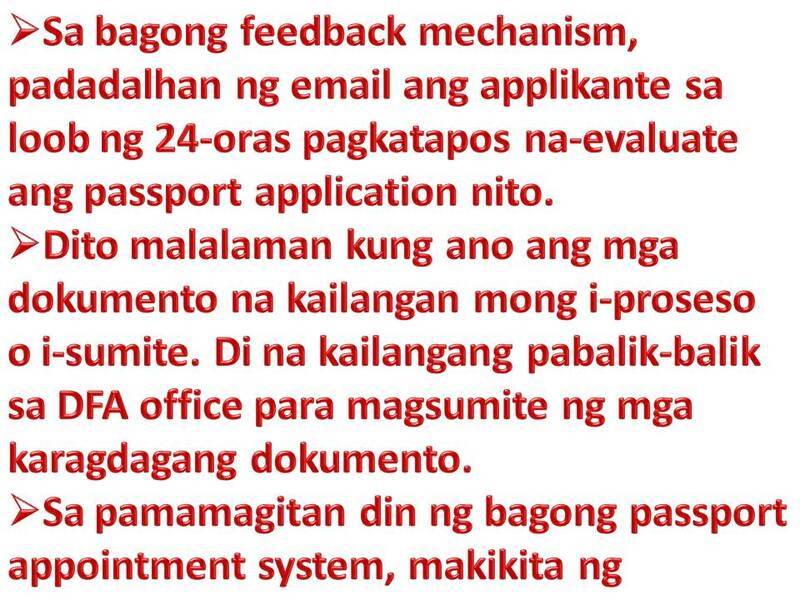 This is through DFA's new feedback mechanism where passport applications can be notified by email on the status of his or her application, whether there were discrepancies in the application. This is even right before he or she goes back to the DFA office to pick up the passport. Under the new feedback mechanism, the applicant is immediately informed of what other requirements needed to process the application through email. 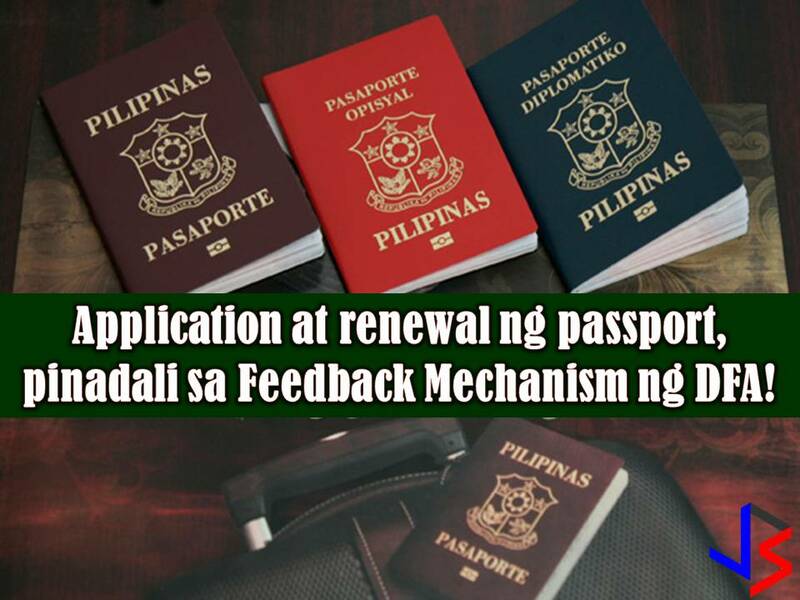 This means passport processing will be hassle-free to applicants especially for those who returned to DFA offices several times just to submit additional requirements. 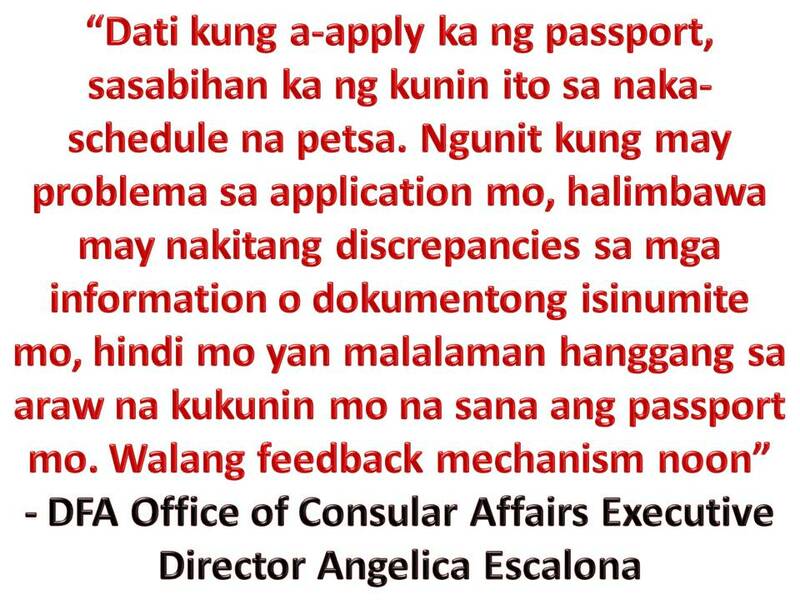 According to DFA Office of Consular Affairs Executive Director Angelica Escalona, the redesigned passport application website allows the user to know the discrepancies in their application. Under the new feedback mechanism, Escalona said, the applicant would be sent an e-mail that would give him or her relevant feedback. The email would be sent within the 48-hour window the application is evaluated. The redesigned passport appointment system also allows the applicants to see, at first glance, which dates have available slots. 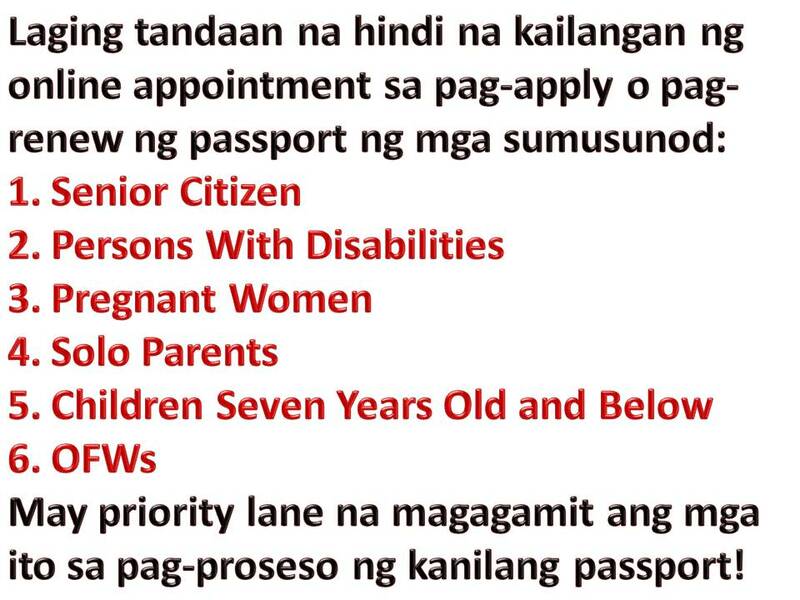 Senior citizens, persons with disabilities, pregnant women, solo parents, children seven years old and below and Overseas Filipino Workers will be notified that securing online appointment is no longer needed, instead, they can use the courtesy lane when renewing or applying for a passport.